So apparently electronic hip-hop artists De Jeugd Van Tegenwoordig (which I’m told translates to “The Youth of Today” in Dutch, but it’s always possible that someone could just be punking me) needed a video for their new song Manon. 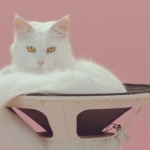 And naturally, because kitty cats and electronic hip hop go together like peanut butter and honey (see you thought I was going to say jelly, didn’t ya? 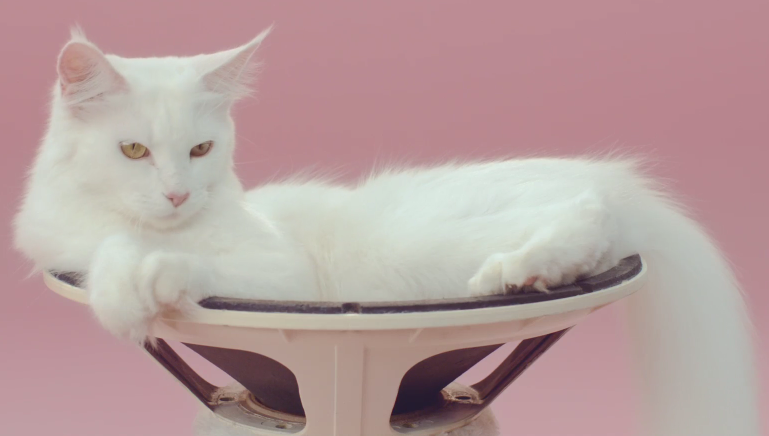 ), when they asked artists and filmmakers Lernert & Sander to make them one they delivered kitty cats. Well, what did you THINK I was going to say, dogs? 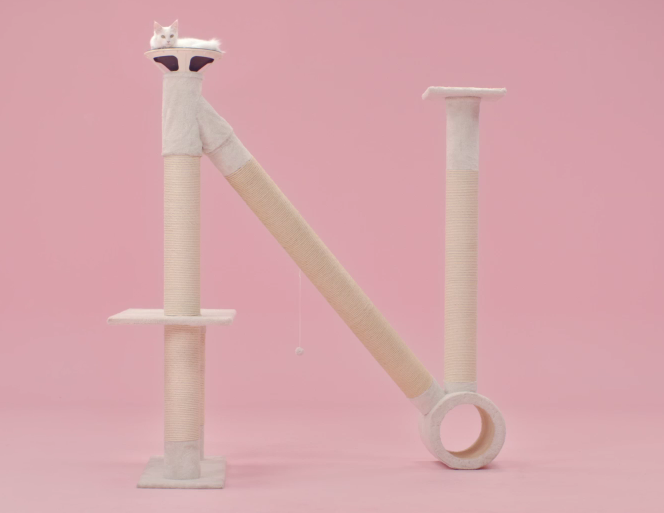 This… admittedly awesome… minimalistic video, filled with adorable kitty cats, is apparently EXACTLY the kind of thing you should expect from this artistic pair. A made for the Internet Age video if I’ve ever seen one. 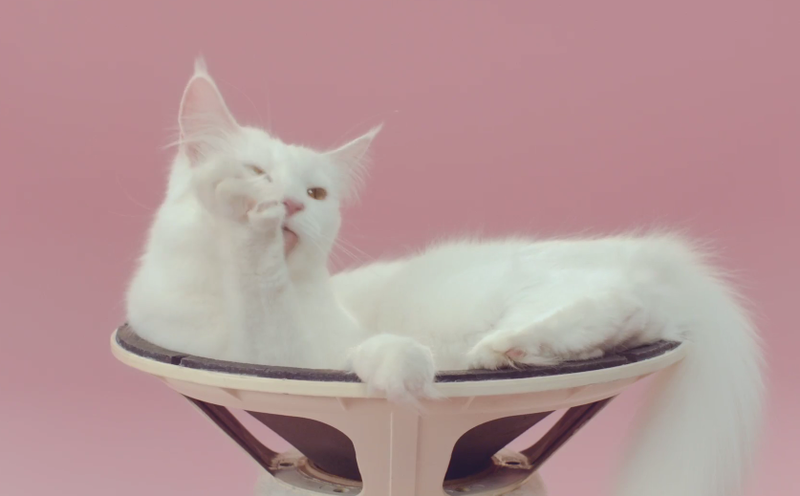 Because you KNOW the internet does love itself some cats. 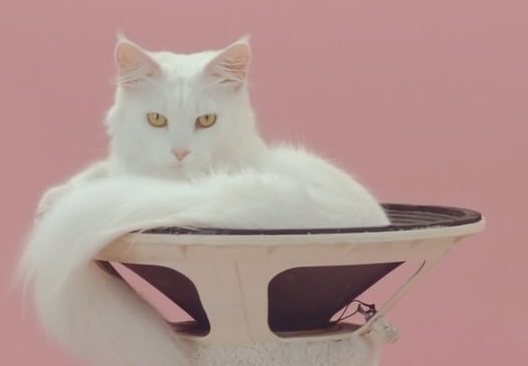 And while ALL the pretty kitties are winners to me, one golden-eyed white-haired lovely calmly resting in a speaker clearly steals the show. He is the very definition of chill. I mean just LOOK at him. And now for the main attraction. Enjoy! Previous Post Previous post:Inside cat says, “Holy Sh*t is THIS the OUTSIDE they always speak of?! ?